Perfect if you’re prepping for a big night (or recovering from one…) these sticky gel patches work intensively to diminish puffiness, brighten dark circles and enhance elasticity to counteract crêpey-ness. Enriched with multiple sizes of hyaluronic acid, these hyper-hydrating patches draw in moisture from the atmosphere to lock it into your skin. Ceramides, collagen and marshmallow root extract help to smooth and soften the look of fine lines, caffeine helps to de-puff and arnica helps to diminish the appearance of dark circles. 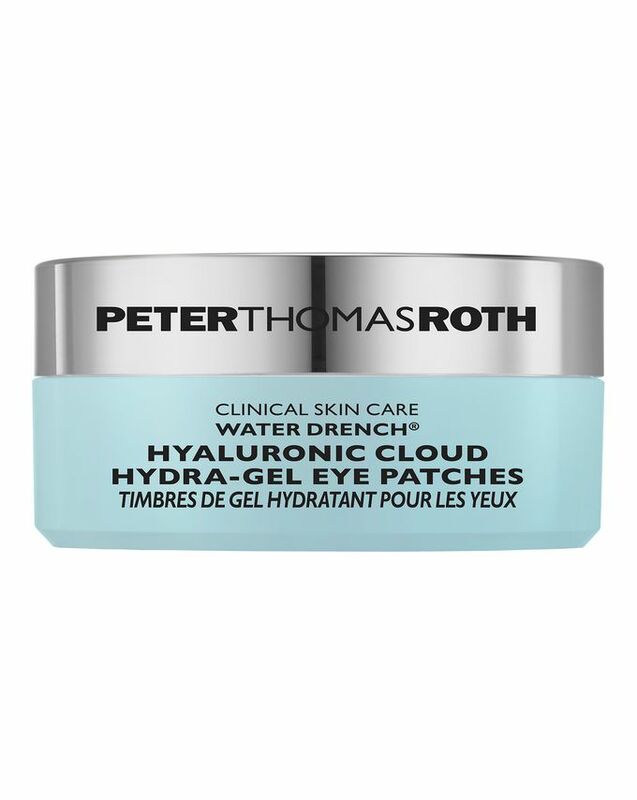 Swiftly revitalise your under-eye area (no matter how hard you’ve been burning the midnight oil) with Peter Thomas Roth’s ultra-refreshing Water Drench Hyaluronic Cloud Hydra-Gel Eye Patches. 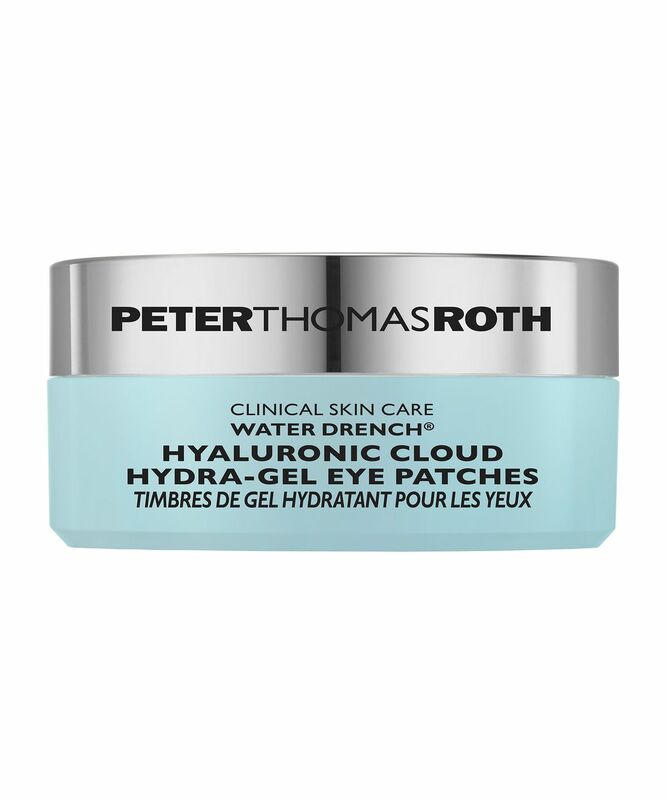 Enriched with multiple sizes of hyaluronic acid, which can attract and retain up to 1000 times its weight in water from the atmosphere, these incredibly revitalising patches lock in hydration. Ceramides, collagen and marshmallow root extract help to smooth and soften the look of fine lines, while caffeine de-puffs the eye area and arnica helps to diminish the appearance of dark circles. Plumping and hydrating, these miraculous patches swiftly leave you looking bright-eyed, bushy tailed and miles more youthful.